In October 2013 I took over the training of Franziskus. He is kept the stable of his owner, Wilhelm Holkenbrink at the stallion station, http://hengststation-holkenbrink.de/ and travels to me regularly during the week for training. Being in high demand for breeding purposes means stallion behaviour. Even though he is very dominant he still tries his best, is highly motivated and learns very fast. He shows off happily in front of a crowd. He is a sweet and sensitive character as long as there are no other horses to distract him. He enjoys cavaletti and small jumps alongside the dressage training and loves flying around the gallop track. In 2014 he won multiple “dressage horse” tests at M level and was a finalist in Verden in the 6 year old Young Horse World Championships. As a 7 year old in 2015 he gained experience at S level and won his first Intermediate 1 in Münster. He continued to succeed in 2016, concentrating better on the job at hand and more comfortable with the movements, and qualified for the Nürnberger Cup. Fransiskus gained experience in the Big Tour arena in 2017, qualifying for the final of the Louisdor Prize at Wiesbaden in Frankfurt. 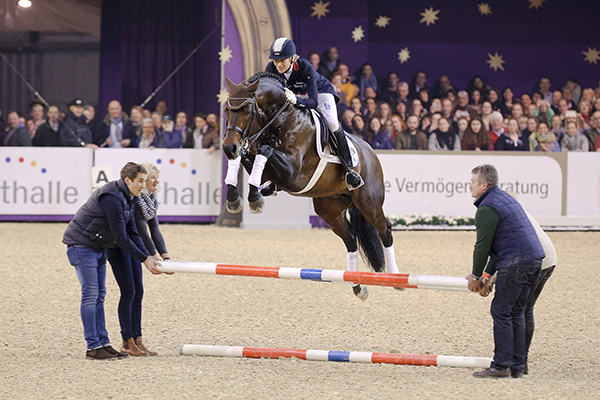 He had his first Grand Prix and Grand Prix Special in Steinhagen and was titled Westfalen Master. 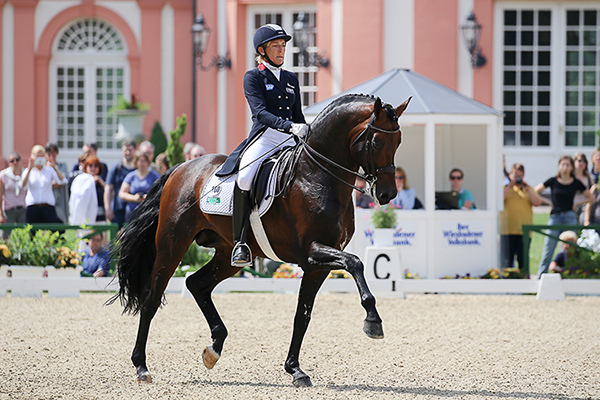 Franziskus nailed his first International outing in Munich by winning the Grand Prix and the Grand Prix Kur. He ended up in third place in the Louisdor Prize, up against a very strong field. In 2018 Franz had to compete with the “big ones”. At the German championship in Balve we were appointed to the perspective squad. In Münster in front of the castle he won the Grand Prix Freestyle.For the third time in a row Franz finished his season with the second place in the Grand Prix Freestyle in Frankfurt.